SPECS: 9°, 10.5° and 12° with Miyazaki C. Kua 50 graphite shaft. RECOMMENDATION: Targets mid- to high-handicap golfers who are trying to hit it straighter with a consistently high trajectory. KEY TECHNOLOGIES: A portion of the sole works like a spring at impact, boosting ball speed on shots struck low toward the heel and toe; a scooped crown shifts the CG downward while allowing the face to flex more freely at impact; the wraparound faceplate increases COR across the edges of the hitting area for added forgiveness. 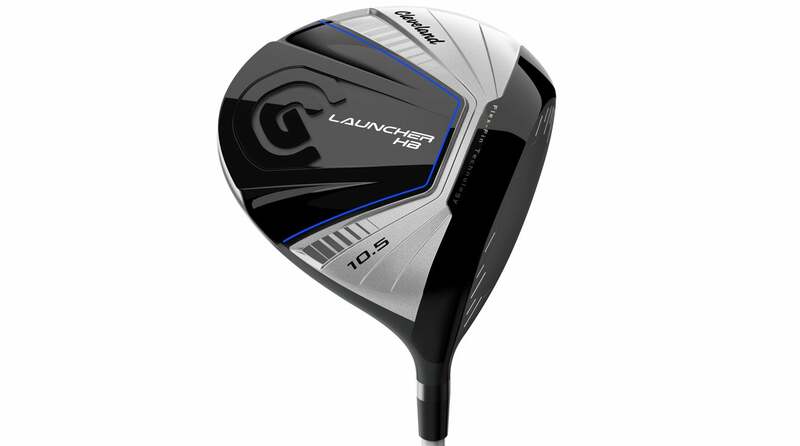 Cleveland is reentering the driver market with the Launcher HB, a featherweight piece of lumber designed to help casual players hit higher, straighter drives. It starts with the construction, which makes it among the lightest drivers on the market. Everything, including the shaft and hosel, has been scrutinized to save weight, which helps soft swingers gain speed. It also gave engineers some mass to play with, which they positioned low and deep in the head. Add in the elastic HiBore crown and Flex-Fin sole, and you're looking at a no-nonsense driver capable of delivering redline ball speeds across much of the face—a nice combo for recreational golfers or anyone who's lost some whip on their swing over the years. "Lives up to its name, producing soaring launch and carry, even for low-ball hitters. Very forgiving."